Pioneers in the industry, we offer j type sensor, rtd sensor, k type sensor and thermocouple sensor from India. Our firm specializes in offering a supreme quality J Type Sensor that has gained exceptional value in the market. The offered sensor is manufactured using high quality factor inputs and innovative technology in comply with the set industry standards. In order to provide defect-free range at our clients' end, our offered sensor is tested on various quality parameters as per the set universal norms. Moreover, our clients can avail this sensor from us at reasonable prices. 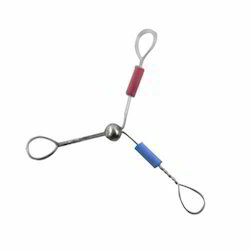 Our firm specializes in offering a supreme quality RTD Sensor that is highly appreciated among our clients. The offered sensor is highly used to measure low temperature in various automobile industries. In adherence to the international quality standards, our offered sensor is verified on numerous quality parameters. Apart from this, the offered sensor is available in various models to suit the varied demands of our esteemed clients. Being a quality-centric company, we are engaged in offering a superior quality K Type Sensor. Keeping in mind all quality standards, our offered sensor is manufactured by our qualified professionals possessing wide knowledge & experienced in this domain. 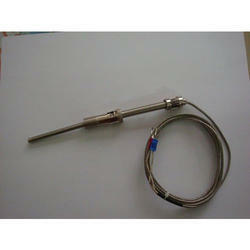 The offered sensor is ideal for temperature sensor measurement using K type thermocouple thermometer. 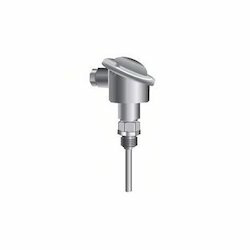 Apart from this, we offer this sensor to our clients in customized specifications at pocket-friendly prices on given time frames. 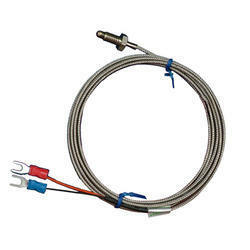 We hold immense expertise in manufacturing, exporting and supplying a premium quality Thermocouple Sensor. Owing to its superior finish and effectiveness, the sensor offered by us is highly demanded to sense accurate temperature at heated application site. Our offered sensor is manufactured using sophisticated technology as per the latest market standards. Moreover, our respected clients can avail this sensor from us at nominal prices.